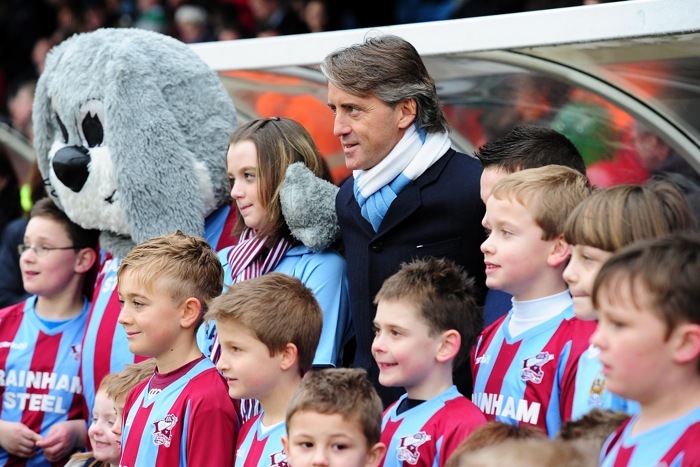 FA Cup Photos: Scunthorpe 2-4 Man City – Robinho Plays Last Game For City? Forget the Robinho sub-plot for a second – above all, this was a terrific Cup tie; City were good value for their win, and Scunthorpe emerged with great credit too, having pushed the Prem club all the way. As long as the FA Cup throws up games like this, it has a great future, albeit perhaps not quite as great as its past. About Robinho: Bobby Mancini wants the Brazilian to stay – or at least that’s the public version of events. The player himself claimed in a Brazilian TV interview that a transfer from City to Santos is 90% certain to go ahead. So perhaps Mancini says he wants the player to stay only because he knows that the player will definitely leave. It’s much easier to be nice to your enemies when you’re waving goodbye to them. There’s no doubting Robinho’s skill, but his heart is lacking. At Santos he will be the star attraction, a circus act – in that environment, with the sun on his back, he will probably thrive.